Sometimes you just want (need) a light supper. Marinate chicken in a zip-top bag and keep in the freezer. Thaw and grill. Serve with salad. 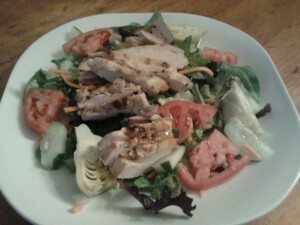 This entry was posted in Chicken, Salads by Modern Mom Meals. Bookmark the permalink.